As you recall, I was debating whether or not I should even finish this book. Since I'm writing a review of it, my decision should be obvious. Whether is was the right decision is still up in the air. Well, my friends, there was no Hail Mary in the last pages of the book. Stephen King once said that the only author to have escaped the sophomore slump was Harper Lee. I think he should add Jeffrey Eugenides to that list. His first book, The Virgin Suicides, was pretty much what you would expect from a book called The Virgin Suicides. Then came his second book, Middlesex, which I still consider to be one the best books I've ever read. I was fortunate to have read his second book before his first, because I would never have read Middlesex if I had first read The Virgin Suicides. 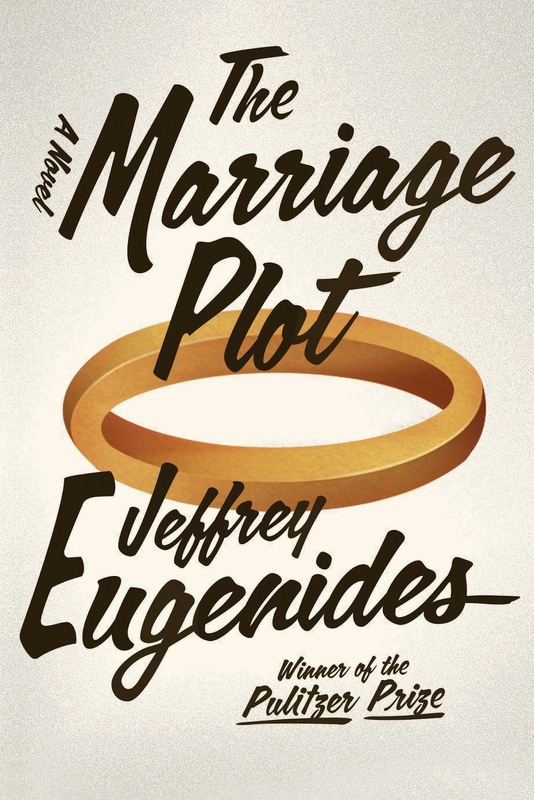 But, unfortunately, The Marriage Plot is Eugenides' third novel. While he may have escaped the sophomore slump, he still fell flat on his face in his junior attempt. The Virgin Suicides, while not a book I even remotely enjoyed and would not recommend to others, was still a well-written novel worth the label of being literary. The Marriage Plot, however, just doesn't work. After finishing this book and thinking about for a while, I'm still not entirely sure what the point of it was. I've narrowed it down to two possibilities. Possibility number one is that Eugenides was trying to show that love in real life is not like the love in books. Frankly, if that was his intention, I'm even more disappointed. It's been done and it isn't even worth discussing. Possibility number two, which I think is more feasible, is that he was one some esoteric quest to debunk the formulaic nature of Victorian novels. I read some reviews on this book and the people who really seem to love this book are English professors, so I think I may be onto something here. But, the truth is, English Professors are really the only ones who care...so that would be another fail. The book has 3 central characters in, you guessed it, a love triangle. Mitchell is a religious studies graduate with unrequited love for Madeleine. Madeleine is a WASP-ish English major who loves Victorian novels--enough to study the "marriage plot" commonly found in such books--who is in love with Leonard. Leonard is a manic depressive who refuses to adequately treat his disease. This thing is, this book, could have been better had it just been shifted a bit. Logistically, it makes sense that Madeleine is the central character as she is both the admirer and the admired. But, that is what keeps this from being at least a better book than it is. Leonard is a very static character--which is fine. With his constant mood swings, he doesn't seem static and, frankly, a character suffering from a mental illness which he refuses to treat can really only be static as he is caught in the web of his disease. Madeleine, however, is also very static. And unlikeable. So, having her as the central character makes the book that much more unattractive. Then there is Mitchell. Unlike Leonard and Madeleine, Mitchell grows and does things and sees things and is dynamic. Yet, he's left on the periphery of the novel. Had Eugenides shifted the focus from Madeleine to Mitchell would have greatly improved the book--although I doubt it could have brought it up to the level of Middlesex. After all, the point of the book, as I understand it, is a waste. 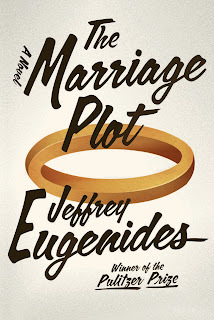 This is not the worst book I've ever read, and you can't argue that Eugenides is a very talented writer. This, however, was not his best effort. I'm hoping that he excels on his even-numbered books and his fourth novel, whenever he writes one, will be another masterpiece. This one, however, not so much. To be honest, Madeline is what drew me to this book (I was an English major who also studied the marriage plot of Regency & Victorian novels) but the description of the male characters is what made me hesitate. This is a great review; you show both the potential and the disappointment of the book.